How to Setup a LAN Network with your DSL-3580L Router? How to Setup a LAN Network with your DSL‑3580L Router? 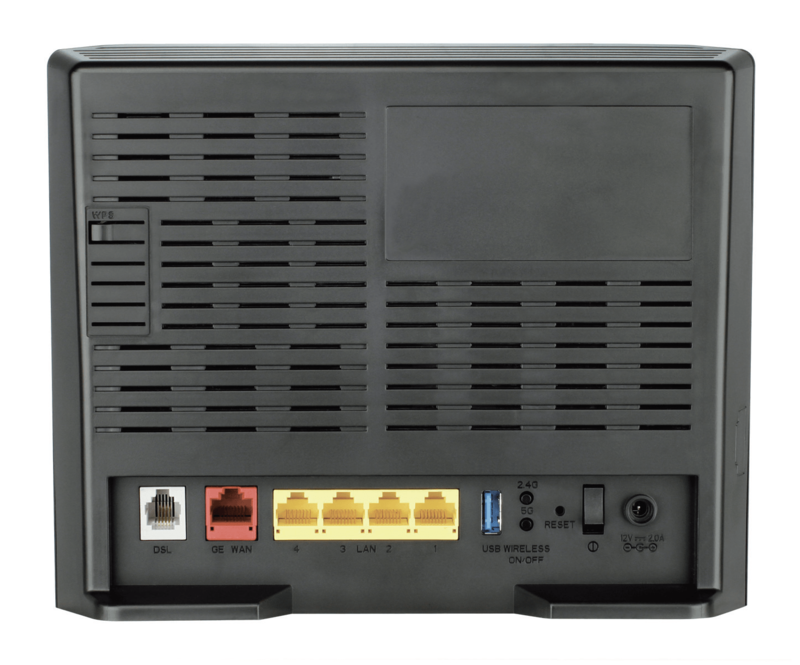 The four yellow sockets on the rear of the DSL-3580L are for connecting your home network devices to create your Local Area Network (LAN). If you have a computer, a network-enabled printer and a Network Attached Storage (NAS) device, as well as any Wi-Fi devices, they will all connect with one another using the LAN. The IP Address range used is by default 192.168.1.1 to 192.168.1.254, with the DSL-3580L's IP Ad-dress set as 192.168.1.1. When you set your network devices up to connect to the DSL-3580L, you will normally choose an IP Address within the same range, i.e. 192.168.1.1 to 192.168.1.254, the subnet mask 255.255.255.0 and the DSL-3580L's default LAN IP Address (192.168.1.1)as the Default Gateway. 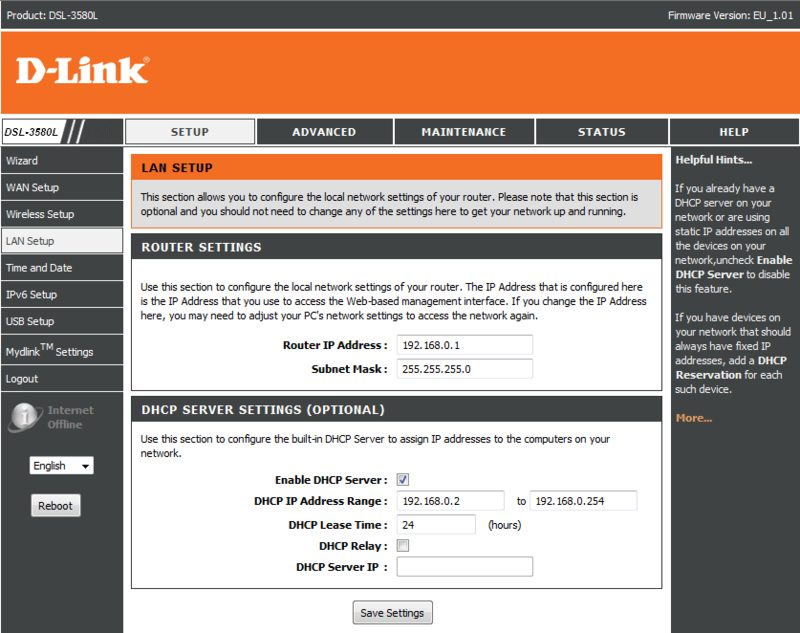 DHCP Server should be ticked to enable the DSL-3580L to assign an IP Address to any LAN devices connected to it. Click Save Settings to save your changes.